The syrup we produce here at Morse Farm is 100% pure maple syrup. This of course means that our syrup is derived entirely from the concentration and heated treatment of tree sap from maple trees. As such, our syrup contains no additives, preservatives or other artificial sweeteners. Maple Tree Sap is typically made-up of only a small amount of natural sugars to begin with, 2% in fact. However, after being treated and in concentration, Maple Syrup made from Maple Tree Sap contains 66% natural sugar! Therefore, there’s no need to add sugar or artificial sweeteners to real maple syrup! Many imitation syrups which you may find at major retailers, usually labeled as “Pancake Syrup” or “Waffle Syrup,” often contain artificial sweeteners, flavoring, and other additives like corn syrup to mimic the true taste, flavor and coloring of 100% Pure Maple Syrup! Pure maple syrup, like Morse Farm’s Maple, is not only better in flavor but can also be very healthy and nutritious for you! 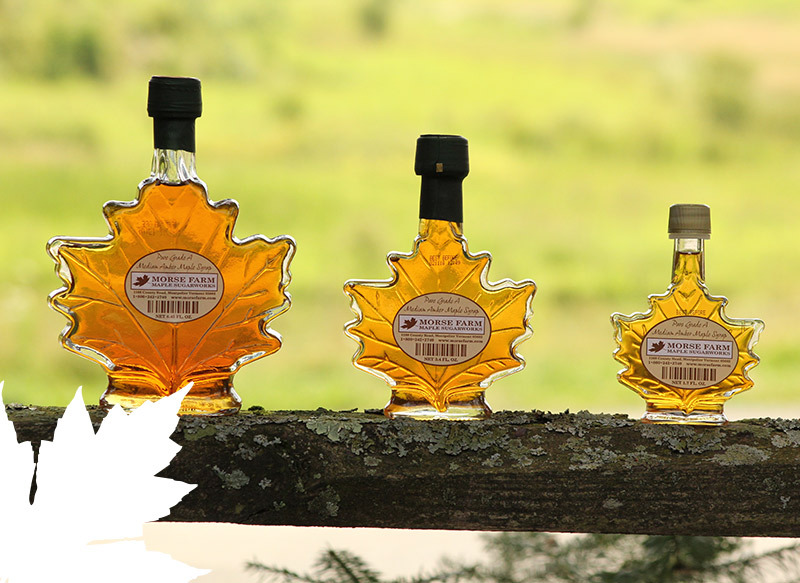 Find out more about our Maple Syrup here at Morse Farm, browse our available Maple Products, order online or visit us today!